Located on either side of the head at the point where the jawbone meets the skull, the temporo-mandibular joint (TMJ) is a hinge and gliding joint that is used during talking, eating, swallowing and everyday activities. TMJ disorder results when you have pain in your jaw joint or the muscles that control and surround your joints. Who can suffer from TMJ? TMJ problems can happen to anyone. However, women twice as likely to suffer from TMJ relate issues than men, especially during childbearing age. TMJ issues may be caused by improper bites, jaw injury, long-term grinding or clenching of the teeth, and connective issue disorders such as arthritis can also cause problems in the jaw joints. Stress can also be a significant factor in creating issues related to TMJ disorder. Orthodontics is a common treatment option for patients suffering from TMJ, particularly if and when the pain stems from a poor malocclusion (bad bite). TMJ treatment in Mississauga or TMJ treatment in Sudbury is treated by Dr. Virdee who first assesses your bite and discusses your TMJ history with you. If it is clear that the TMJ disorder can be relieved by orthodontic treatment, Dr. Virdee will suggest braces or Invisalign. When the bite is corrected, the muscles and jaw functions ideally and some or all of the symptoms are relieved. 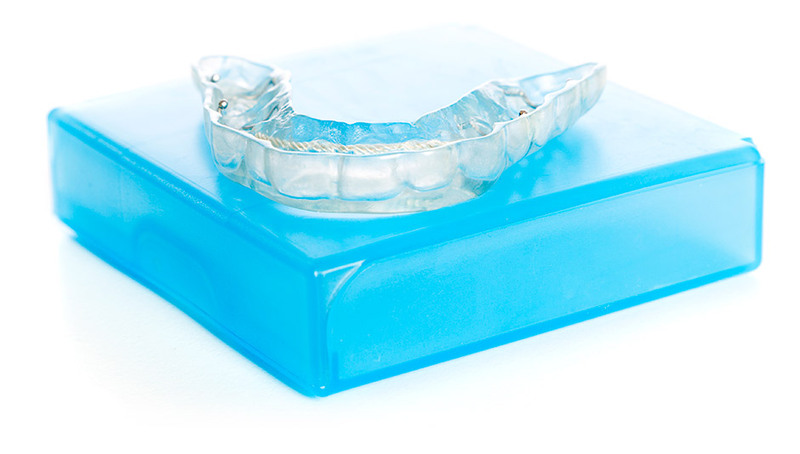 Other treatment options for TMJ disorderSplints or night guards: Splints and night guards may be an option for patients who clench or grind their teeth. Although these appliances will not stop the grinding or clenching habit, they will help to minimize overwork of the muscles of the joints and protect your teeth. In this way, there is less strain on the muscles and therefore less strain on the joints. Most patients with splints or night guards show drastic improvement in their TMJ symptoms after approximately 6 months of splint therapy. Botox: If the TMJ become displaced or overworked through excessive teeth grinding, a person may suffer severe tension headaches, as well as sharp pain in the jaw. Botox relieves jaw tension by minimizing the powerful, often unconscious movement of the jaw muscles that produces headaches and pain. It is non-surgical, minimally invasive, and most patients notice improvements within one or two days after their first treatment. Counselling: patients who have stress-induced TMJ may benefit from counselling and stress relieving exercises. Surgical correction of TMJ disorders: when non-surgical options cannot provide relief, a patient may consider arthroscopic surgery as a last resort. This is performed by a surgeon and allows removal of any irregularities of the joints itself and injection of steroids in the inflamed area. If there is extensive damage to the joint, the surgeon may have to surgically open the joint, and some patients may even require joint replacement. Following surgery, patients can expect extensive physiotherapy and rehabilitation of the joints. If you are seeking TMJ treatment in Sudbury or TMJ treatment in Mississauga, contact our office for a complimentary consultation. Dr. Virdee will be happy to go through a thorough evaluation to diagnose the cause of the condition. Lifestyle changes are always recommended first before any type of treatment is recommended. In only those cases where life style changes do not work, will we prescribe treatments such as splints, medication or orthodontic treatment. Pain management is our specialty. Call us today for a complimentary consultation.